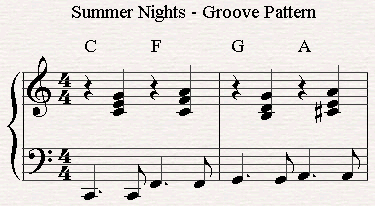 Everytime I play Summer Nights from Grease, I recall how much I love singin' this song with friend. Each one picks a voice and we have lots of fun with it. 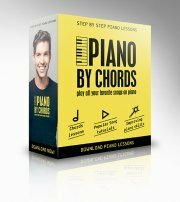 This song from Grease Summer Nights, is perfect for piano beginners. 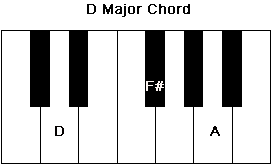 It doesn't takes much to succeed playing this song so I hope you enjoy playing a long. 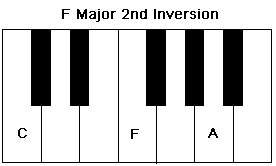 Check out for the suitable chord inversions of all six chords if you need some help along the way. 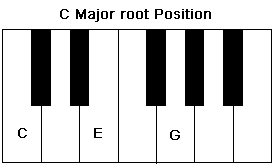 We'll set the left hand on the C position starting from the lower C. Later on we will be asked to stretch our hand to the B note next to middle C and we'll go back to the lower C by performing a crossing over. 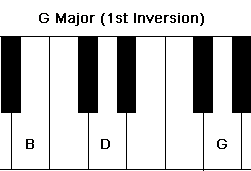 As for the groove, here is the pattern that should be played through the whole song. 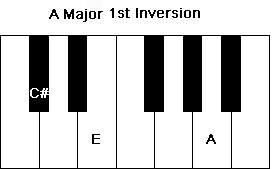 In the intro of the song and the first four bars there's a famous bass line you should add to the groove. Check out the video to see how I play it. 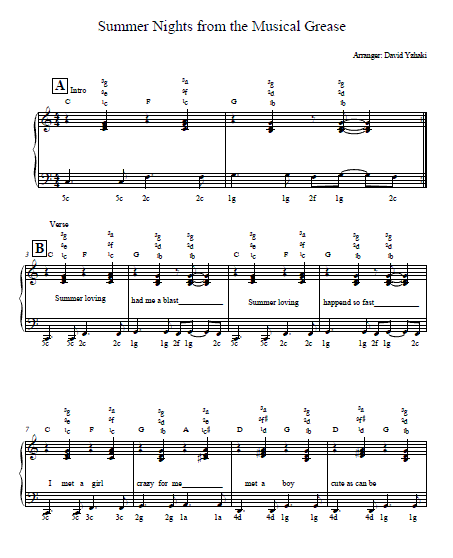 Click here for a piano tab of the song from Grease Summer Nights. 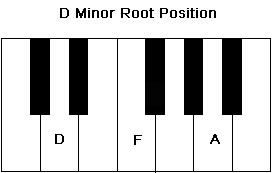 It will help you to practice the song the way we've played in the piano tutorial.